TS ICET 2016 Notification: TSICET-2016 (Telangana State Integrated Common Entrance Test -TSICET) is for admission into M.B.A. and M.C.A. courses of all the Universities in Telangana State and their affiliated colleges for the academic year 2016-17. This test is being conducted by Kakatiya University, Warangal on behalf of Telangana State Council of Higher Education, Hyderabad. Kakatiya University is a public university located in Warangal in the Indian state of Telangana. 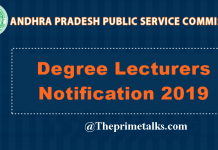 The university offers about 120 programs at undergraduate and postgraduate levels in the faculties of arts, science, commerce and business management, social sciences, education, engineering and pharmaceutical sciences with constituent and affiliated colleges spread over four districts of Telangana.This year the university released notification for the ICET 2016 and the candidates who are interested can check the notification and apply online from the direct link provided below. Before applying for the test, the candidates must ensure that the below-listed criteria is met by them. The candidates should be Indian Nationals and should satisfy local/non-local status requirements laid down in the Telangana State Educational Institutions. The candidates other than Indian Nationals will be required to satisfy the rules of the Universities concerned. They should have passed their Bachelors Degree Examination of minimum three years duration from a recognized University/College with at least 50% marks (45% marks in case of reserved categories) in the qualifying examination. 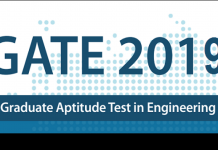 The candidates who will be appearing for the final year degree examination or waiting for the result can also apply for the test. The qualifying degree, if obtained by Distance Mode Program then it should have recognition by a joint committee of UGC, AICTE, and DEC.
No minimum marks have been prescribed for the candidates belonging to SC/ST & other reserved categories but for candidates belonging to non-reserved categories, qualifying marks in TSICET 2016 will be 25%. All the candidates interested in applying for the test will be required to apply online only on the official website of TSICET. The candidates will have to get themselves registered online and fill the online TSICET Application Form 2016. 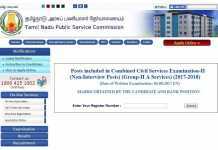 The form will be available online from 01 March until 05 April 2016. 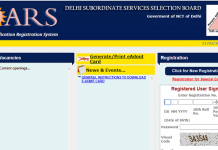 In the form, the candidates will be required to fill their personal, qualification & contact details etc. But they must ensure that the details filled in the application form should be correct. While filling the form, the candidates will also be required to remit the requisite application fee. The registration fee for the test is Rs. 250/-. This fee is non-refundable and can be paid at Online Centers/Citizen Service Centers, e – Seva Centers set up in the states of Telangana. Also, the candidates can pay the fee online using Credit Card/Debit Card or Net Banking. How to Apply Online TS ICET 2016? Stay tuned to this website. 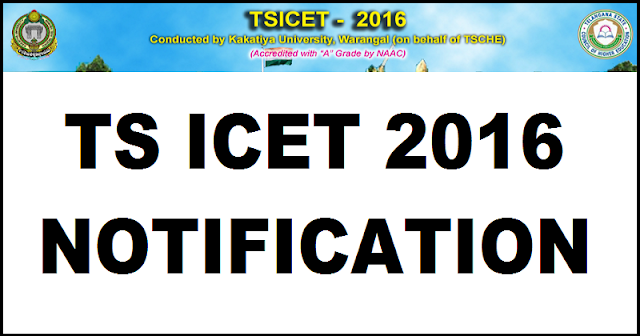 We will update TS ICET 2016 admit card/Hall Ticket, TSICET previous year papers, TSICET 2016 result, etc. Press CTRL+D to bookmark this page for easy navigation.